Thanks to Mrs. McVey's 5th grade students who suggested the following link to information on poisonous plants. Nice bit of research digging this up! The link is www.SerenataFlowers.com/Poisonous-Flowers-and-Plants and the info on the page is reproduced below. While most flowers and plants may look harmless, there are a variety of poisonous plants that can be toxic, or even deadly, to humans and animals. It is in the best interest of people to be able to identify at least some of them to avoid coming into contact with them. Poisonous plants are potentially hazardous to all living organisms, which includes not only humans, but also pets, livestock and other animals. If for some reason a person does get into contact with a poisonous flower or plant, or accidentally ingests one or the other, the first step should be to seek immediate medical help. In order to try to avoid contact, one should familiarize themselves with local plants that are poisonous. Below is a guide that helps to educate about different poisonous plants, for humans and animals, and possible prevention steps and treatments. Poisonous plants can be found everywhere in the U.S., as well as all over the world. Some of the most common poisonous plants are poison ivy, poison oak and poison sumac. People most often come into contact with and interact with poisonous plant when out in nature, either hiking or just taking a walk on a weekend afternoon. Children especially are vulnerable to coming into contact with poisonous plants because of how inquisitive they are by nature and how curious they are to touch almost everything. For this reason, it is especially necessary to educate children or at least to watch them quite closely when they are in a situation where they can come into contact with poisonous plants and flowers. Poison Ivy: This website from Virginia Tech works as a resource on how to identify poison ivy. 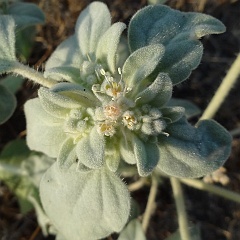 It includes numerous pictures to help visitors identify this plant. Poison Oak: This website functions as a resource guide on poison oak and includes information on its history, how to treat it, and various photos so people can easily identify it. Poison Sumac: This website features basic information on poison sumac, including where it can be found, what happens to people when they make contact with poison sumac, and how easy it is to confuse this plant. It also includes a picture for easy identification. Hazards of Poisonous Plants: This government website features a collection of possible health hazards from poisonous plants. Poisonous Plants in the U.S.: This website from the Centers for Disease Control and Prevention provides an overview and a geographic distribution of plants like poison ivy, poison oak and poison sumac. List of Common Poisonous Plants: This website features a long list of common poisonous plants like Daphne, Iris and Foxglove. Information Center for Poisonous Plants: This website provides information on the poison in poison ivy, poison sumac and poison oak, making it a sort of reference and resource webpage for the topic. Safety Tips on Dealing with Poisonous Plants: This PDF website features information on how to deal with a brush with a poisonous plant. What is Poison Ivy? : This website features information on avoiding poison ivy and identifying it if one is outdoors. Symptoms of Poisonous Plants: This website features pictures and information on how to spot symptoms of poisonous plants. Poison Ivy, Poison Oak and Poison Sumac Details: This government website provides details on poison ivy, poison sumac and poison oak, so that people can be aware of its symptoms, causes and how to treat problems. Plants that are Poisonous: This website from the University of Pennsylvania features a glossary and a list of plants by both their common and Latin names. Poisonous Plants Guide: This website enables visitors to search a database until they find the specific, poisonous plant they are looking for. North Carolina Poisonous Plants: This educational website features a list of poisonous plants in North Carolina, plants like Rosary Pea and California buckeye. The Southern U.S. and its Poisonous Plants: This educational website lists a thorough collection of poisonous plants in the Southern U.S., plants like black cherry and black locust. Human beings are not the only ones who can be affected by poisonous plants. Animals are also at risk for being poisoned by certain plants and flowers. Animals that are particularly vulnerable are domestic pets and livestock like cows, pigs and even horses. It is advised that farmers and others who own land with livestock grazing on it evaluate their property to discover if there are any poisonous plants and flowers on it. ASPCA Poisonous Plant for Animals Website: This animal-welfare website collects a list of poisonous plants that have been identified as having a deleterious effect on animals. Plants That are Toxic to Animals: This library website has information on numerous plants that have been exposed as toxic to animals; the website provides plant names by both scientific and common names. Poisonous Plants and Risk to Animals: This website offers visitors information that discusses the risk to animals from contact and ingestion of poisonous plants. List of Poisonous Plants for Animals: This straightforward website presents a detailed, though incomplete, list of plants that can be poisonous to animals. What Plants are Poisonous for Animals? : This website contains a list of resource websites that have more information about plants that are poisonous to cats and other animals. Plants that are Poisonous for Livestock: This website features a database of sorts of all the plants that are poisonous to livestock. Poisonous Plants for Horses: This educational website features a list of poisonous plants that are toxic to horses specifically. Plants Poisonous for Goats: This website features a long list of poisonous (as well as non-poisonous) plants for goats on a farm. Toxic Plants for Your Cat: This easy website provides a straightforward list of toxic plants that should be avoided by cats. Plants that are Toxic for Cats: This website gives a long list of plants that have been proven to be toxic for cats. Sometimes, the best approach to preventing something is to be prepared. In the case of poisonous flowers and plants, the best way to prevent from getting poisoned by them is knowing what they look like and being able to identify them. Being able to identify poisonous plants and flowers allows people to avoid them if they see them out in nature. Being able to identify poisonous plants and flowers may mean memorizing how certain plants and flowers look like. Some poisonous plants like poison ivy are relatively easier to identify (due to their commonality) than other poisonous plants. Poisonous Plant Prevention: This site gives tips to help kids avoid coming in contact with poisonous plants. Texas Poison Control: Gives photographs of poisonous plants as well as possible preventative steps. Eluding Poison Ivy: This website provides visitors with information on how to elude contact with poisonous plants like poison ivy. How to Identify Poisonous Plants: This website informs people on how to spot poisonous plants, so that they may avoid them. Identifying Stinging Nettle: This website informs visitors on how to spot a stinging nettle and then avoid it. Treatment for victims of poisonous plants (either by accidental ingestion or by contact) usually depends on the specific situation of the person. A doctor has to evaluate the specific factors surrounding the poisoned person and then come up with an individualized treatment plan. Treatment can range from common sense measures like not to touch other parts of the body (to avoid contamination and spreading) to applying particular ointment over the problem area. However, serious cases of poisoning by poisonous plants require immediate medical attention, which can include going to one’s personal doctor or even heading to the emergency room. How to Treat Poisonous Plants: This website details how people can treat problems by contact with poisonous plants. Information Center on Poisonous Plants: This website informs people on how to treat problems caused by poisonous plants. Treatment Criteria: This medical website explains how a doctor will devise a treatment for poison oak and poison ivy. Poison Ivy, Poison Oak Treatment: This website presents information on what treatment is administered for poison ivy and poison oak. How to Treat Poison Oak: This website offers six ways that people can treat poison oak. There are many plants and types of vegetation available to us. We utilize these plants for food, medicine, and much more; but it is important to recognize that some plants are poisonous and can have serious health consequences if ingested or touched. Many of these plants have neurological or digestive related symptoms, and in severe cases, coming into contact with these plants may be fatal. Understanding which plants to avoid can help keep us safe when hiking, foraging, and exploring plant life. Below are several examples of poisonous plants and their symptoms. General resources are also available to help you learn more about poisonous plants and how they affect the body. Hyacinth Toxins – The bulb of a hyacinth plant is poisonous, and if ingested, can cause nausea, diarrhea, and vomiting. In severe cases, it can be fatal. Oleander Poisoning – Oleander, a highly poisonous plant, affects the heart and can cause extreme stress to the digestive system. Elephant Ear – The entirety of the Elephant Ear plant is poisonous. 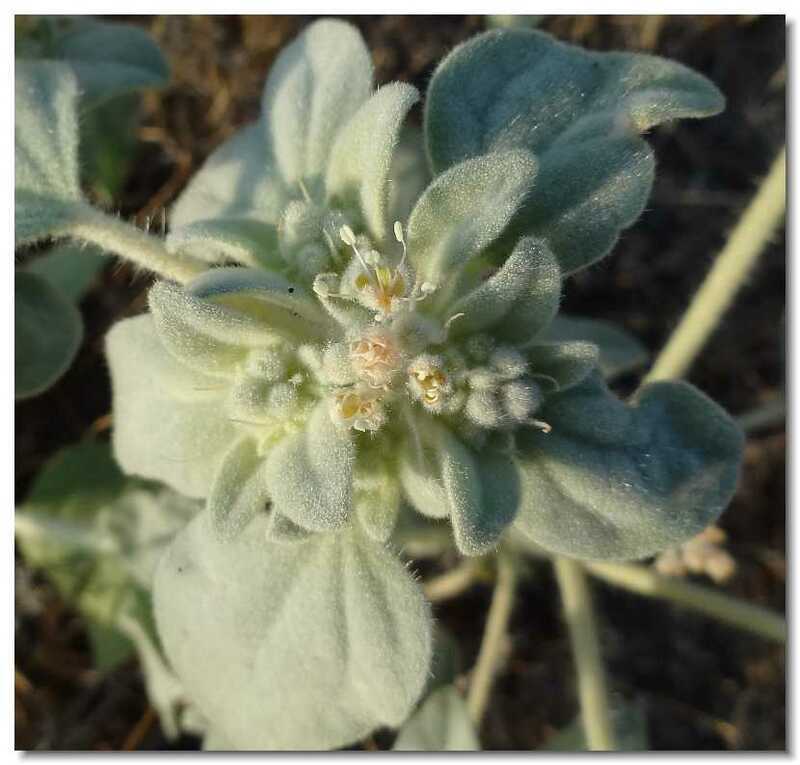 The symptoms associated with this plant include burning and irritation to the tongue and mouth. The toxins cause the tongue to swell, disallowing the act of breathing. Rosary Pea/Castor Bean – Ingesting a single Rosary Pea can be fatal. This red seed/berry is beautiful, but should be avoided at all costs. Larkspur - “Young” plants and the seeds of the Larkspur may be fatal and affect the nervous system, the digestive system, and can also cause depression. Monkshood – The fleshy part of the Monkshood root is poisonous and can upset the digestive system and cause excited nervousness. Autumn Crocus – Vomiting and nervousness are the symptoms caused by the Autumn Crocus and should not be ingested. Lily-of-the-Valley – Mental disorientation and confusion, an upset digestive system, and irregular pulse and heartbeat are all symptoms of the toxins found in the Lily-of-the-Valley plant's flowers and leaves. Iris – While pretty, the Iris is still a poisonous plant. The underground stems contain toxins that upset the stomach, but this is often mildly intense. Foxglove – The leaves of the foxglove are poisonous in large doses. Symptoms include increased and elevated heartbeat, blood pressure, and pulse. One may become confused or disoriented and in severe cases, results have been fatal.